It is so devastating to find out that a loved one is in prison. Most likely you will want to find out where they are being held. They will most likely be held in the Monroe County Detention Center if they were incarcerated in Monroe County, New York. Since this is devastating news for everyone that loves and knows the one that was arrested and it can be stressful and cause a lot of anxiety. Thankfully this guide is there to help you is so many ways including, finding the inmate, staying in contact, sending money and learning about the jail. 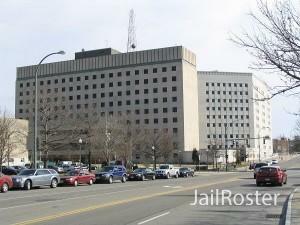 The Monroe County Detention Center is located at 130 Plymouth Avenue South, Rochester, NY, 14614. Before an inmate is sentenced the Monroe County Detention Center is the first line of defense. When an individual is incarcerated in Monroe County they will stay at the county jail until they are sentenced or bailed out. Those that are a part of the Monroe County Detention Center are very intentional about supplying services by allowing those who are a part of the jail and the community to work together as a team. While preserving human dignity and rights the Monroe County makes a great effort to improve quality of life for everyone in the Monroe County. There is a maximum of 3 years that anyone will serve in the Monroe County Detention Center. Inmates will be transferred to a state prison if their sentence is longer than 3 years. It is so devastating to find out that a loved one is in prison. Most likely you will want to find out where they are being held. They will most likely be held in the Monroe County Detention Center in Ohio if they were incarcerated in Monroe County, New York. Since this is devastating news for everyone that loves and knows the one that was arrested and it can be stressful and cause a lot of anxiety. Thankfully this guide is there to help you is so many ways including, finding the inmate, staying in contact, sending money and learning about the jail. You will need to know if your loved one is being held in the Monroe County Detention Center before you are able to do anything else. This can be done over the phone by calling the jail or on the internet. You can click this link to do an inmate search online. This is where you will get directed to the Inmate Search Inquiry page. You will be able to search through the list of inmates. To make your search easier you can search the database by name, subject number, or booking number. By calling the Monroe County Detention Center in New York at 585-753-4138 you will be able to find out if your loved one is being held in the Monroe County Detention Center. You will also be able to find out the inmate’s subject number or booking number, the amount of the bond and housing unit which you will need in order to visit them, as well as other important information. If you are wanting to bail an inmate out before their court date to get legal advice, this can be done but at your own expense. People don’t usually have the amount of money that it takes to bail someone out. If you wish to bail an offender out before their court date to obtain legal aid, you will do so at your own expense. This is where a bail bondsman will come in handy. 10-12% of the bail is what a bail bondsman will need upfront. For example, a bails bondsman will only need $1,000 if the bail is set at $10,000 in order to get your loved one out of jail. Most of the people get bailed out to get legal counsel who is incarcerated in Monroe County Detention Center before they are supposed to appear in court. By calling 585-753-4138 you will be able to get more information about bail or bonds. You will be able to visit inmates that are in good standing, that are given a permanent housing unit within the jail, and if they don’t have disciplinary restrictions. The visitation schedule is assigned by the inmate’s housing. Inmates at the Monroe County Detention Center are allowed to make collect calls to friends and family. However, you will not be allowed to call them at the Monroe County Detention Center. The individual that is receiving the collect call is the one responsible for any and all charges that are associated with the collect call. The inmate will only be able to receive this package if you include your full name and return address. Otherwise, the inmate will not be allowed to get this package. Inmates at the Monroe County Detention Center are allowed to receive and send emails. You will need to create an account at Email to Inmates. if you would like to be able to email an inmate and receive emails from an inmate at the Monroe County Detention Center. To create an account you will need to be 18 years old or older. If you would like to fund an inmate’s account so they can make purchases at the commissary you will need to give the Monroe County Detention Center in Ohio a call at 585-753-4138. However, there are rules and regulations that must be followed at all times if you want to keep in contact with an inmate by visiting, writing and calling. If these rules are not followed these privileges will be taken away because these rules are put in place to ensure the safety of the inmates, staff and visitors.